Get your high quality Fish Finders or Sounder: No more blind fishing. Now you can easily find if there any fish around. 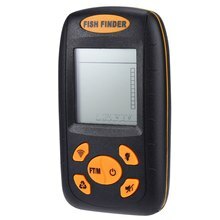 Saves you time and increases your chances to catch more fishes using our fish finders. Our fish finders uses worlds latest technology which will give you accurate result every time. 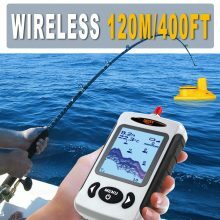 Choose from our great selection of fish finders at wholesale price with worldwide free shipping. Fish finders are also known as Sounder. In Australia people call it Sounder. Fish finder or sounder uses sound reflection known as sonar to locate objects under water. Our fish finders can not only find fishes it can also find weeds, debris and bottom of the water. 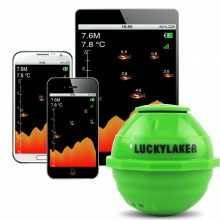 For more information about Fish Finder technology please click here Please don't forget to check our other fishing gear here. We have great collection fly fishing reel, trout fishing lures on sale.